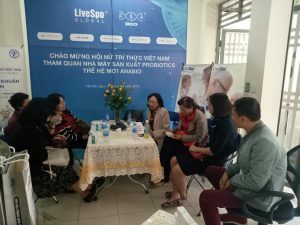 On 26th March, 2019, The Viet Nam Association for Intellectual Women visit Anabio Factory. Leading the delegation is the chairperson of Prof. Dr. PHAM THI TRAN CHAU. This is a great pleasure for Anabio factory, this is the recognition with the relentless efforts of the research team and the Dr. ANH production. 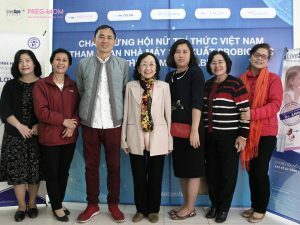 The Viet Nam Association for Intellectual Women, an associated-member of the Viet Nam Women’s Union, was established by the Ministry of Internal Affairs in 2011 and became APNN’s member in 2013. At present, the Association has 05 affiliated associations, 24 subsidiaries and 3,178 members with a number of different fields of activities, extended its network at the research institutes, universities …, among them 15% Doctorate Degree (of which 6.8% is Professor and Associate Professor),51.5% Master Degree and 33.5% Bachelor Degree. Many VAFIW’s members have been awarded Science & Technology Prize such as State Prize, Kovalevskaia Prize, l’Oreal-UNESCO, VIFOTEC … or received the name of People’s Teachers/Doctors, Elite Teachers/Doctors, Labor Hero….